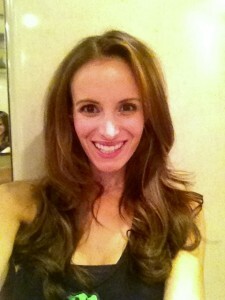 I recently tried an awesome hair styling product that I love! It is called the TopStyler and it delivers beautiful, bouncy curls and voluminous waves that last up to three times longer, without causing damage to hair fiber. Instead of having a typical roller that heats up it has shells which they call C-shells that heat on the rapid heat Thermal Base, and they create the perfect temperature to reshape and set the hair, safely. There is no more scorching or literally melting your hair. All I had to do was section my hair and roll it. You get to choose the size and shape of your curl based on how much hair and how tightly you wrap your section of hair. I wanted very soft loose waves so I took big sections and loosely rolled my hair and then clamped it with the C-Shell. (See pic). Next all I did was pop the shells out, flip my head over, spray with hairspray and lightly finger combed my hair! The TopStyler was invented by celebrity hairstylist Linda Flowers and cool fact the TopStyler was used to create many of the hairstyles in “Hunger Games”, including for Jennifer Lawrence. Linda’s has also styled celebrity clients, including Scarlett Johanson, Gwyneth Paltrow and Christina Applegate. Try out the TopStyler and get red carpet ready hair in no time!